While cab aggregating services like Uber and Ola are highly convenient and cost-effective when it comes to ride sharing, they have had their fair share of bad publicity in the past due to various issues, especially harassment and frauds that happen with the passengers. Well, in a bid to tackle such issues, Uber has brought Real-Time ID Check in India. Uber’s Real-Time ID Check relies on selfies. With this technology, Uber drivers are asked to take a selfie before they accept a ride and upload it on Uber’s system. These selfies are then compared with the photo of the driver that are available in the system. This is done using Microsoft’s Cognitive Services. If the selfie and photo in the system don’t match, that driver’s account is blocked temporarily until Uber looks into the matter. 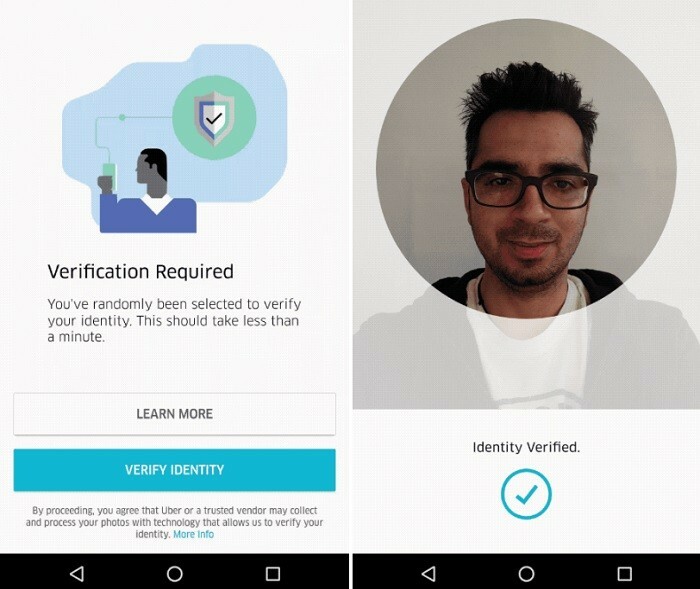 “Real-Time ID Check prompts drivers to share a selfie before going online to help ensure the driver using the app matches the account we have on file. This prevents fraud and protects drivers’ accounts from being compromised. It also protects riders by building another layer of accountability into the app to ensure the right person is behind the wheel. Today we’re thrilled to launch this feature in five cities in India, starting with New Delhi, Mumbai, Bangalore, Hyderabad and Kolkata, with more cities to follow. We believe this new initiative will go a long way in keeping our riders and drivers in the city safe and our rides reliable like never before.” said Joe Sullivan, Chief Security Officer, Uber. Before bringing this technology to India, Uber tested it out in the US where the technology was able to verify 99% of the drivers. Besides this, Uber has also been working towards making rides safer in India. Whenever a driver accepts a ride request, his information like first name, photo and license plate number is shared with the passengers. The drivers are also recruited by Uber only after a thorough background check. Furthermore, passengers can also share information of the driver and journey with their friends and family. Besides this, the app also has an ‘EMERGENCY’ button through which passengers can connect directly with the police control room and Uber’s internal response team. Well, with all these features, Uber’s passengers and drivers will hopefully have a better experience of the ride.